Take this opportunity to experience yoga and work in a truly transformative way! 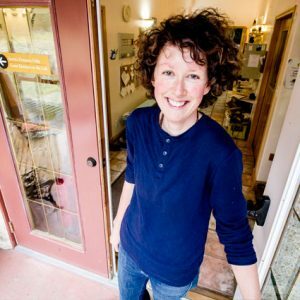 Yasodhara Ashram is an intergenerational community where people of all ages—from youth to elders and everyone in between—work together. The Young Adult Program (18-30 years) is now an integral part of the One-Month Program. The program helps you deepen self-knowledge, integrate as a valued working member of the community and take away a life-changing experience. Investment: No Fee. Although there is no fee, you will be investing your time and energy, and your intentions, in the community. This program is funded by contributions. Contributions are welcome any time, to keep the opportunity available for people of all ages and backgrounds. Shared accommodation, meals and workshops included. Dates: Click here for a list of all program intake dates. Breath is the key to quiet the mind, create space and allow clarity to emerge. Between the ingoing and outgoing breath, there is a centre of peace, a place of deep mystery and potential. Awaken your intuition and discover what emerges. Through learning a variety of breathing practices, you can find ways to build and strengthen a path of peace in your life. Divine Mother represents the power that creates and gives birth to all life. This retreat is for anyone who is drawn to care for living beings, whether your own children, others in your community, or the Earth itself. Take time to nourish yourself with compassion and be taken care of with wholesome food, time alone and healthy interaction with others. Relax, renew. Tap into your own creative spirit and rediscover yourself beyond caregiving. Let Divine Mother take care of you! Give yourself ten days to expand your understanding of who you are and who you want to be — ten days reprieve from stress in a safe and nurturing place of reflection. For students of all levels, this course offers practices that support your personal and spiritual development. Instruction is given in a variety of traditional yoga and meditation practices such as mantra and visualization combined with in-depth self-development courses such as Life Seals, Dream Yoga and the Hidden Language of Hatha Yoga. As a participant in the 10 Day Yoga Journey, you can stay on at no cost for up to the next seven consecutive days to practice Karma Yoga. 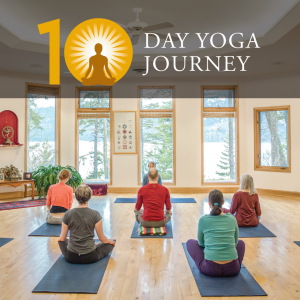 Here’s what past participants of the 10 Day Yoga Journey have to say about their experience. In Life Seals you create a symbolic life map that surfaces hidden patterns and clarifies direction. Through drawing and reflection, you gain access to a deeper understanding of yourself. Discover how different aspects such as mind and senses relate to each other, understand how you create obstacles, and reveal your untapped potential. The process of opening personal symbolism is rich, memorable and often deeply moving. The tangible, visual quality of Life Seals provides a reminder that you can refer back to for guidance. 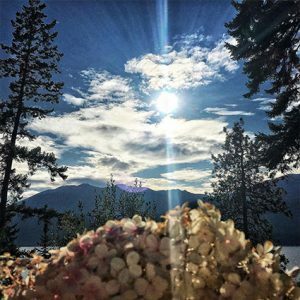 Upon cancellation of a course, retreat, or other program, Yasodhara Ashram will hold your deposit for application towards your next stay. 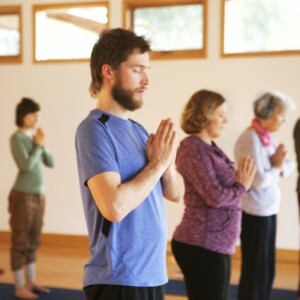 Yoga offers many spiritual gifts to access health and wholeness. Yogic practices provide a means of clearing the body and mind, giving you the strength to be who you really are. In the healing process you have the space to reflect on your life. 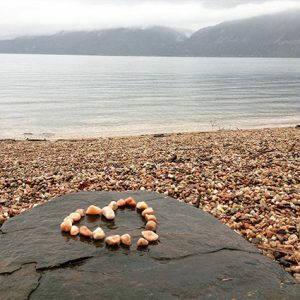 The retreat is for those seeking physical, mental or spiritual healing. Spacious and nurturing, this is a time to go inward, accessing your compassion and inner Light. Who are you? In this retreat, you are encouraged to return to essence, the feeling of home within, a welcoming place of warmth and potential. Quieting the body and mind like the tortoise, you can draw inward to be restored. 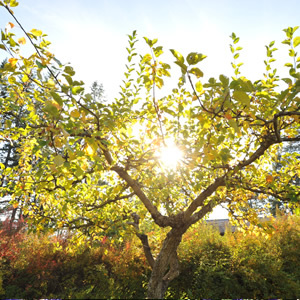 Using a variety of the Ashram’s core spiritual practices including the Divine Light Invocation, visualization, and effective self-inquiry techniques, you can deepen your connection – physically, mentally and spiritually. The Temple of Light, the prayer rooms and the abundance of beauty in nature will support your journey. Experience how yoga can support you in times of ending and beginning, change and transition. Explore your past experiences of transition and identify what choices you want to make now. What is the creative direction for your future? 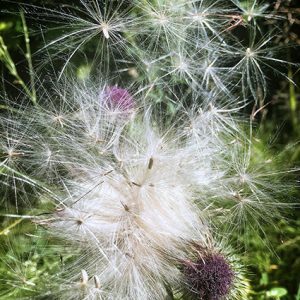 By working with reflective tools — such as writing and drawing — and spiritual practices — such as Mantra and the Divine Light Invocation — you can prepare for change, access strength during transition and clarify options for your next steps. What better time to saturate yourself with Light than during the magic of summer solstice? 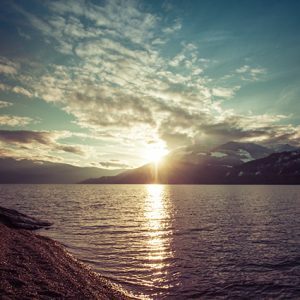 In this retreat we explore the practice of the Divine Light Invocation, along with relaxation techniques, visualizations and meditations on Light. The Divine Light Invocation is a standing meditation that combines the body, breath and mind in a concise practice of visualizing Divine Light, recognizing the Light within and learning how to share this Light with others. 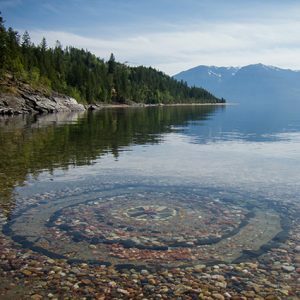 It is one of the most integral practices at Yasodhara Ashram. 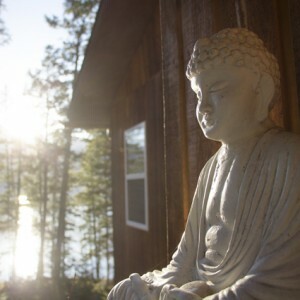 Includes shared accommodation, three meals daily, morning hatha, retreat/workshop, and evening satsang. Join Ashram president, Swami Lalitananda, for four days designed to help you approach the sacred within and to recognize that all life is sacred. Meet with others to expand awareness through spiritual practice, reflection, dialogue and action. 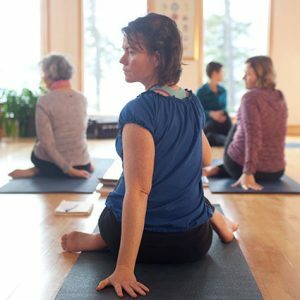 This two-week teacher certification program will deepen your understanding of the system of Hatha Yoga that Swami Radha called “the Hidden Language,” which integrates the asanas with the power of mind and symbolism. You will learn —through your own personal reflection, study and practice teaching—how to offer the gift of Hidden Language to others. Take this next step in using metaphor, symbolism and written reflections to help students access the insightful messages that the asanas can bring. The process involves trusting your own intuition and that of your students. Learn to create a safe, light framework and fill it with an atmosphere that empowers each person’s awareness. Teach the unity of yoga, where body and mind communicate. Prerequisites: The Yoga Development Course, as well as the Hatha Yoga Teacher Certification. Completion of the YDC book reflection project is also a requirement. Sensory input continually influences how we create and respond to our inner and outer worlds. 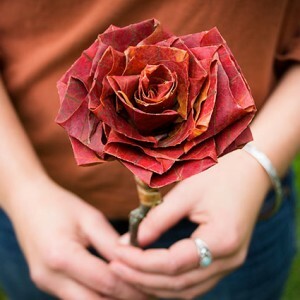 In this workshop you will explore smell, taste, sight, touch and hearing to gain clarity and expand your understanding. You can ask: Which sense is dominant and which ones need strengthening? And what part does mind, the interpreter, play? Find our how the senses relate to the Kundalini system of yoga and how you can gain more freedom of choice as you cultivate your senses. What is the mind? What are its tendencies? How can it be directed? Each day you will learn various practices – including visualization, breathing techniques, concentration and reflection – to help you understand different levels of mind and to approach the mind’s expansive potential. The natural beauty and silence of the Ashram support your search for this silence and beauty within. Where are you now and where do you want to be? This workshop encourages you to gather facts by observing both your emotional responses and rational thinking. Unpacking this spectrum of responses can help you make better decisions. Based on an ancient Buddhist practice of self-awareness, the Straight Walk involves several walking meditations done with observation and concentration. You take steps, literally and symbolically, to understand your perception and to gain a new perspective. This intensive two-week teacher certification program is based on a foundation of self-inquiry and experiential learning/teaching. Using the questions and practices in Kundalini Yoga for the West, you will study the potential of each level of consciousness, then teach in small groups with your colleagues. 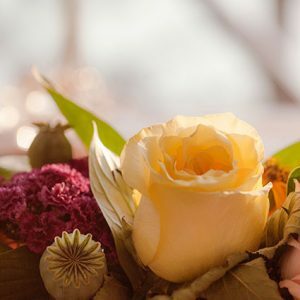 To access guidance from the unconscious mind, you will explore the symbolism of your own dreams and learn to help others in their personal interpretations, using Swami Radha’s dream yoga method (as elucidated in Realities of the Dreaming Mind). This certification program can help you gain confidence in teaching the spiritual dimensions of yoga by focusing on Light, building on your personal experience and learning to create a framework adaptable to your students’ needs. Prerequisites: Completion of the Yoga Development Course and the YDC book reflections. 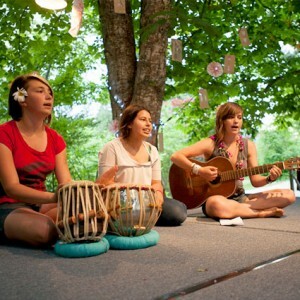 If you are a young woman aged 13-17, Shakti Camp is designed for you. This week-long Ashram adventure includes activities such as dance, arts, hiking and swimming as well as yoga classes, journaling and group discussions. With other young women, explore the issues that matter most to you: what stresses you out at home or school? What does friendship mean to you? Grow in confidence as you look at your body image, personal power and self-expression. You also have a chance to experience life in a spiritual community with powerful female role models. Join us for daily Hatha Yoga classes, Karma Yoga (service) and nightly satsang. Make friends, have fun and learn about yourself in this supportive and nurturing community. For teen girls ages 13 to 17. Includes shared accommodation, three meals daily, morning hatha, retreat/workshop, and evening satsang.. Local Eastshore teens free. 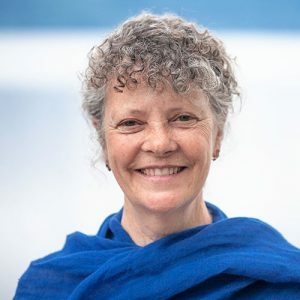 The lake, mountains, sky and forest of Yasodhara Ashram invite you to take refuge, to awaken to your own nature, to remember your interconnection with all of life. What is it like to experience the majesty of mountains as you do Mountain pose? Or learn balance from a tree? Hike the forest trails, walk the beaches, find your special places for silence and meditation. 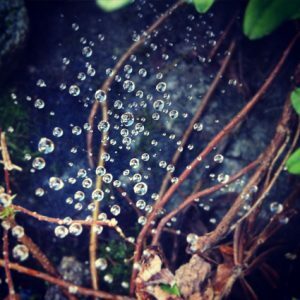 How does nature reflect back what you need to know? Yoga & Nature can give you perspective and connect you to a sense of the sacred. Watch this short video for a taste of the Yoga & Nature Retreat. Many people experience the physical benefits of yoga. But beyond the physical, there are psychological and mystical aspects to be discovered. This Hidden Language approach integrates reflection with the poses to promotes harmony between body, mind and spirit. As you question, listen and use imagery to move into the asanas, you open to insights that can be instrumental in your daily life. Through dialogue between body and mind, you gently reveal yourself to yourself in transformative ways. Take this next step with yoga! The massive bombardment of our senses from modern technology can drive us away from the true source of power and energy within. This retreat can help uncover your sense of inner knowing. Through times of silence and practices such as watching your mind, calming the breath, chanting mantras — and unplugging from electronic devices – you can become receptive to your interior landscape. Listen to your inner voices – what do they say? Which to follow and which to let go? Can you find a place of rest? This retreat will include times of speaking as well as periods of intentional silence (mauna). Please be prepared to commit to a few days without electronic devices. Enrich your experience of the world around you and open your heart to wonder. What would it mean to remove filters that keep you from seeing, tasting, hearing, touching, smelling what is? Explore how your sense perceptions interact with your mind’s interpretation. By building awareness of mind and senses, you can start to choose your way of being moment-by-moment, awakening to your own potential. Celebrate this special time of equal day and night, by reflecting on balance. Balancing daily life demands – work, relationships, family, information input – and taking care of yourself can be challenging. How can you stay centered and calm? How can you step back to gain perspective and move forward with clarity? 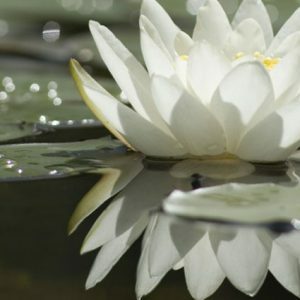 Learn yogic techniques such as breath, visualization, reflection and relaxation to help restore calm and a clear sense of what is most important in your life. Dreams are a gateway to intuition—sometimes inspiring, always mysterious and often confusing. They carry messages waiting to be opened and understood. What is my next step? What can I learn from a difficult situation? What gives my life meaning? 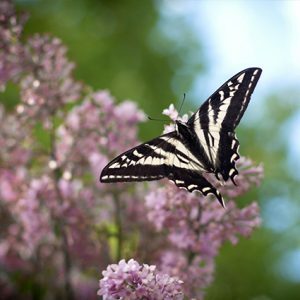 Learn a time-tested method to invite your dream symbols to speak, offering guidance and clear steps to action. Investment: No Fee. Although there is no fee, you will be investing your time and energy, and your intentions, in the community. This program is funded by donations. Donations are welcome any time, to keep the opportunity available for people of all ages and backgrounds. The Yoga Development Course (YDC) offers three months of yoga in the deepest sense of the word, as a path to Liberation. Come and expand your understanding. Heal. Give yourself the spiritual nourishment you need. Challenge yourself to evolve. 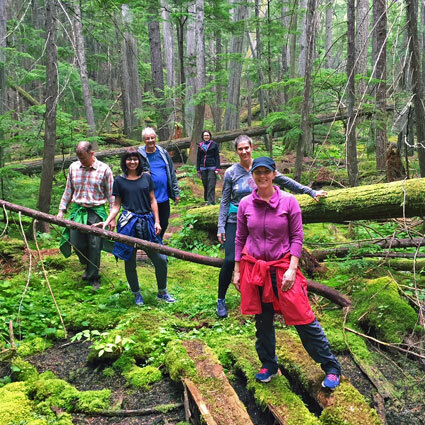 This program, set in the Ashram’s pristine forest and lake during quiet winter, offers a balance of self-inquiry with group work in a community of like-minded people, a process that leads to new discoveries and purposeful change. The YDC is the prerequisite for our Teacher Certification programs.